PAGANINI TRAXX – Zoe as the first record to define his style. The instrumental record became Number 1 in the English club chart and was highly rated and appreciated by the specialized press. “Zoe” became a real classic techno-progressive hit and was supported by Sasha, John Digweed, Paul Oakenfold and later remixed by Timo Maas. His discography is very huge, from 2000 and onwards Sam’s released records on Southern Fried, Octopus, Terminal M, Phobiq, Material, 1605 Music Therapy, Driving Forces Rec, Android Muziq, Amazing records, 303 Lovers, Toolroom just to name a few. “THE BEGINNING ep” on 2010 released on Form (Popof’s label) is a good example of deep, but banging techno, tracks like “Stratos”, “Strobe” or “The Beginning” was played by Richie Hawtin, Dubfire, Marco Carola, and many others. “Cobra EP” reached Top 10 Beatport’s Techno Chart on October 2011. 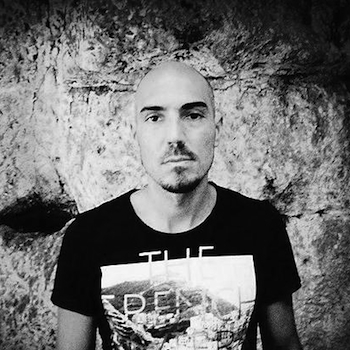 With “Prisma EP” on Beyer’s Drumcode Sam’s reached again Top 10 Beatport’s Techno Chart on january 2012, was supported by DJ’s from across the spectrum from Drumcode stalwarts like Alan Fitzpatrick and Slam through to house music legend Erick Morillo. After his debut on Drumcode on January, Sam’s back with another four-track EP “Eros” enormously well received on summer 2012 (Top 3 position on Beatport Techno Chart) and all tracks was massive supported by all the Big Dj’s all over the world. In November 2012 the track “Prisma” is included in the “The Sound Of The 13th Season” for celebrating the season of Cocoon in Ibiza, mixed by the legendary Sven Vath. A new 5 tracks Ep “Body To Body EP” out on 11th March 2013 on Cocoon Recordings reached Nr.1 on Beatport Techno Chart for over 3 weeks.